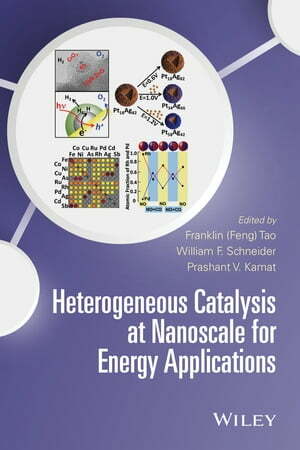 Collins Booksellers - Heterogeneous Catalysis at Nanoscale for Energy Applications by Franklin (Feng) Tao, William F. Schneider & Prashant V. Kamat, 9781118843529. Buy this book online. This book presents both the fundamentals concepts and latest achievements of a field that is growing in importance since it represents a possible solution for global energy problems. It focuses on an atomic-level understanding of heterogeneous catalysis involved in important energy conversion processes. It presents a concise picture for the entire area of heterogeneous catalysis with vision at the atomic- and nano- scales, from synthesis, ex-situ and in-situ characterization, catalytic activity and selectivity, to mechanistic understanding based on experimental exploration and theoretical simulation.